Time to revive this dormant thread (the old one can be found here)! It'd be great to see some activity for it, I'm almost certain that our Psikyo enthusiasts will really like or love this one, especially if you're interested in an unorthodox scoring system and a light-hearted theme. In addition to the overall boards, I'm also going to offer separate tables for the characters to incentivise using the entire cast (I'm not going to create empty boards for now, but I'll immediately add them when necessary). 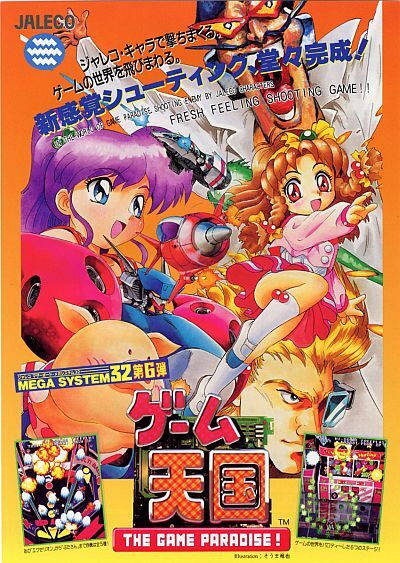 What's even more important, however, is a clear cut between the original arcade game and the Saturn version, at least for the Normal Mode. I was wondering at first how it is that quite a few people seemingly effortlessly managed to get so deep into the second loop of the Saturn port, this thread cemented my suspicions further. I also asked Kollision and he said to me that he doesn't recall blazing fast suicide bullets and whatnot in the second loop, which I'm sure he would've. As such, it is safe to say that scores are not directly comparable. Given that precedence, I'm also going to split tables for the other modes, just to be safe. Can someone tell me whether the Caravan mode davyK talks about here is something different from the Time Attack? Is another board for that in order? Last edited by Perikles on Mon Apr 15, 2019 7:02 pm, edited 17 times in total. 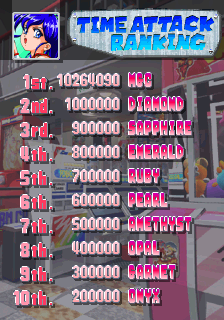 I'm surprised to see Z-Dyne scores flood the Saturn scoreboards. Is he really good in that version or something? 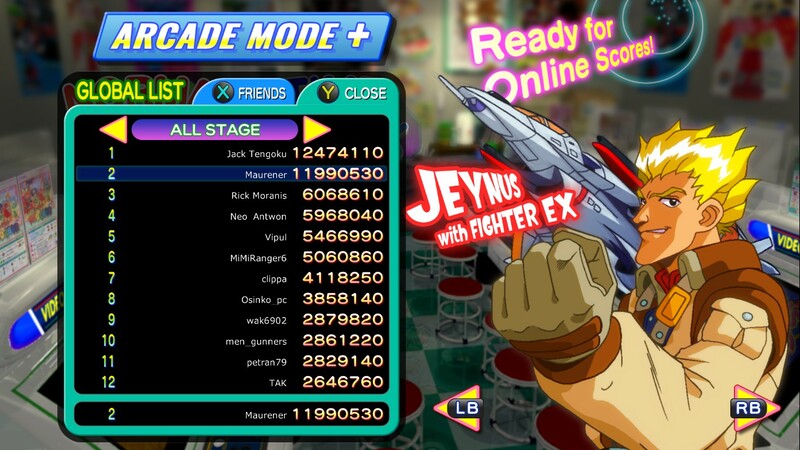 I feel like in Arcade version, no one else but Jeynus is fast enough to do all of the chains in the game. 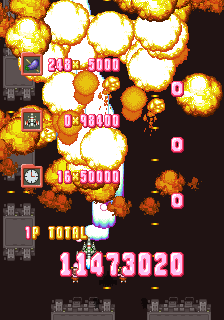 I messed up here even accidentally bombing the 3rd boss thanks to a finger slip. I ended up being down on bombs for the stage 5 balls so unfortunately I lost a lot of points there. This video will show a good glimpse of the chains in the first half of the game however. I need to jump back into this game; I didn't like it quite at first, but it grew on me. I wonder if the Saturn port's default difficulty is one shade lower (a la Soukyugurentai's Saturn port). At least there is that neat original mode with those silly cutscenes to enjoy! 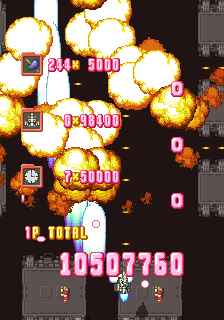 I wonder if the Saturn port's default difficulty is one shade lower (a la Soukyugurentai's Saturn port). I'm wondering the same - not least cos I finally bought the SS port after years of procrastination only to see this. Oh well. I'm anxious to hear about the specific differences in the SS ver.! Meaning the little girl (Momoko)? Could you also say which stage the run ended on? Nope, the blue haired girl. Stage 3. I've been playing the PS4 version a bit lately. Can we get the 2 DLC characters added to the score board? Clarice and Homura are the new characters, supposedly there is suppose to be one more character but no word on its release. But I wonder, how accurate is this port to arcade? I heard loop is suppose to have fast bullets. These were all pretty slow. Should this version have its own score board? I've no way of directly comparing the two, but I can vouch for the arcade version's (as per MAME) second loop being on par with the nastier Psikyo games in terms of speed and intensity. This also occurs as early as 2-1, it is immediately apparent. If you say that the PS4 arcade mode doles out rather slow bullets, I do believe it is best to split at least for the time being, we can always merge them together again once/if we have a better argument for it. I'm also of course open for creating new boards for additional characters/modes! Just tell me the specifics and I'll create another table/more tables. You actually get a faster autofire rate with Autofire delay 2 (20 Hz) than Autofire delay 1 (30 Hz) in case you don't know. Last edited by Maurener on Wed Apr 03, 2019 4:37 am, edited 3 times in total. Was messing around with the time attack mode and i got this. Last edited by Maurener on Wed Apr 03, 2019 4:38 am, edited 1 time in total. Very nice! Always a pleasure to see more action on this game since it doesn't get much exposure. I haven't ever gotten to giving the 2nd loop a chance yet either. Thanks Emuser, sorry for the delay as I was busy playing other games and studying. 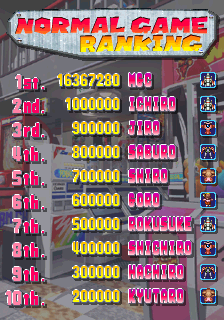 Have been playing the CruisinMix PC port recently (which is pretty much based on the Sega Saturn port from what I see) and yes, it has a considerably easier difficulty compared to the original arcade but there are some design changes; for example, The Stage 3 boss have a collision box so you cannot sit above to him while you can do it in the original arcade, In the Space Invaders section from Stage 5 the enemies shot the random-ish bullet spray first rather than the straight shots in the original arcade thus making this section more difficult, you cannot easily milk the last boss as you end up getting hit after getting the points in the mouth. And the rapid-fire seems to be locked at 30 Hz rather than 20 Hz and Jeynus' charged shot also seems to be a bit weaker, making this version a little bit annoying. Last edited by Maurener on Fri Apr 05, 2019 6:33 am, edited 1 time in total. Got a new PB on time attack. Last edited by Maurener on Fri Apr 05, 2019 9:10 pm, edited 1 time in total. What don't you like? Other than a few hitbox/autofire changes? Hell yea lets go Maurener! Are you going for the 2-ALL? Admittedly I didn't have the patience to learn it and there isn't a lot of material to reference for going for the 2-ALL really. It would be amazing to see a forum shmupper hit 2-ALL though. Yeah, I am going for the 2-ALL on this game. 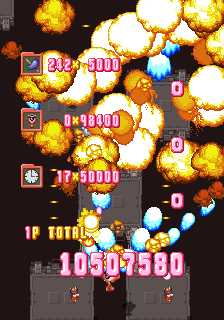 Have savestated through both loops with the max score of 39m and I have learned how to milk the Stage 4 boss without using bombs.